The story of Hawaii begins in 300 BC, when Polynesians migrated to the islands from the Marquesas Islands, in what is now French Polynesia. In 1000 AD, Tahitians began migrating to the islands. The people of Hawaii would live in isolation for thousands of years, and would develop their very own religion, culture, language, and government in the process. This isolation was brought to an end in 1778, when Captain James Cook became the first non-native to land on the Hawaiian Islands. He named them “The Sandwich Isles”, after the Earl of Sandwich, but noted that natives referred to the islands as “Owyhee” (Hawaii). Captain Cook was essentially the “Columbus of the Pacific”, and Hawaiian Natives generally regard him in the same way that Caribbean Natives regard Christopher Columbus. Much like Columbus, Captain Cook’s contact with the islands in 1778 would open the door for Hawaii’s westernisation and exploitation throughout the 19th century. Hawaii had been historically divided into Ahupua’a, or districts, ruled by a hereditary Ali’i or chief. One of those hereditary chiefs was Kamehameha I, who would go on to unite the entire Hawaiian archipelago into a single kingdom in 1810. This unification was anything but peaceful. Kamehameha got some Westerners to provide him with guns and ships, then he went about invading and conquering the islands, in a brutal campaign that would last 15 years. On the island of Maui, there was a battle known as “The Damming of the Waters”, because there were so many corpses, they created an dam on the river made of flesh. Another battle on Oahu involved Kamehameha’s army forcing several hundred enemy soldiers off of a cliffside at spear and gunpoint. Yikes. Upon conquering the Hawaiian Islands and creating the Kingdom of Hawaii, Kamehameha went about aggressively westernising the country. One example of this is the Hawaiian Flag. 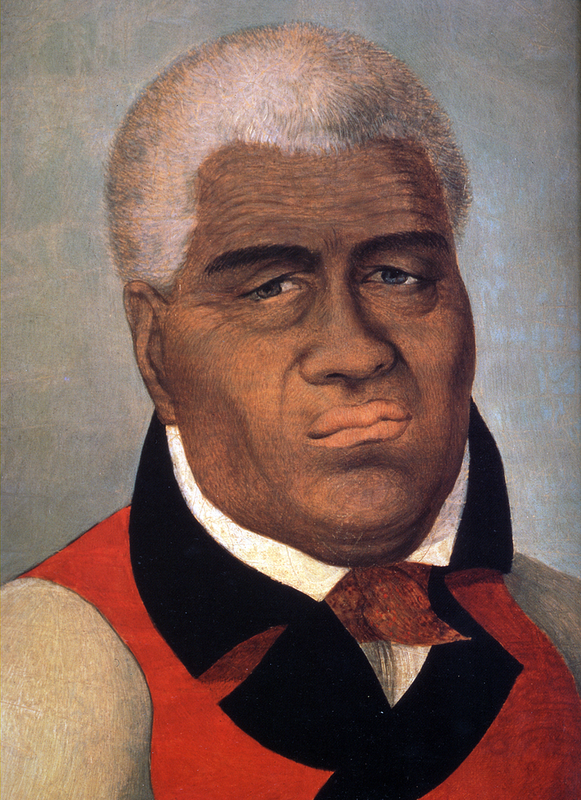 Kamehameha was infatuated with the West, in particular with Great Britain. When he commissioned the first Hawaiian Flag, he made sure it included a prominent Union Jack. That flag remains the official flag of Hawaii to this day, and the Union Jack still remains. In addition, Kamehameha also considered himself a British subject and believed his kingdom to be a British protectorate. Despite this opportunity to expand their empire, Britain refused to create a Hawaiian protectorate and denied claiming or controlling the islands. This westernisation was continued by Kamehameha’s successors. In 1819, Kamehameha II abolished the Hawaiian religion. This religion, known as Kapu, had existed for thousands of years, and it governed every aspect of Hawaiian life. The religion’s abolition was not gradual; it was made illegal by proclamation of the king, and any priest who refused to give it up was killed. The voluntary abolition of the Hawaiian religion is important because it would open the door to Western missionaries visiting Hawaii. After all, Hawaii no longer had any religion whatsoever. Beginning in 1820, Christian missionaries began arriving in Hawaii in droves. Over the next decade, their number increased as did their influence, and in 1830 they successfully outlawed the Hula, Hawaii’s iconic dance, for being too sexually suggestive. The missionaries also founded the Punahou School in 1841, to educate their own children separate from the natives. This school still exists today, and it even educated Barack Obama, who graduated from the school in 1979. Prior to 1848, local government and land ownership consisted of Ahupua’a, which were long, thin tracts of land stretching from the mountains to the ocean. Each Ahupua’a was ruled by a hereditary chief known as an Ali’i. From 1848 onwards, by order of Kamehameha III, the Ahupua’a were abolished and the concept of private land ownership was adopted. Under the new system, anyone could file a claim for their own piece of land, but the process of getting the land was burdensome. To be able to get the land, the person in question was required to be literate, to pay an expensive fee, and to pay someone to survey the land that the person in question desires. The problem here is that Native Hawaiians could not meet these requirements, but wealthy Western businessmen could. This new system of land ownership resulted in two-thirds of the land going to Western sugar plantations, while native Hawaiians got almost none of the land at all. It is important to note that Western sugar tycoons did not seize the land from Native Hawaiians, but rather, the Natives allowed the plantation-isation of their country on their own free will. 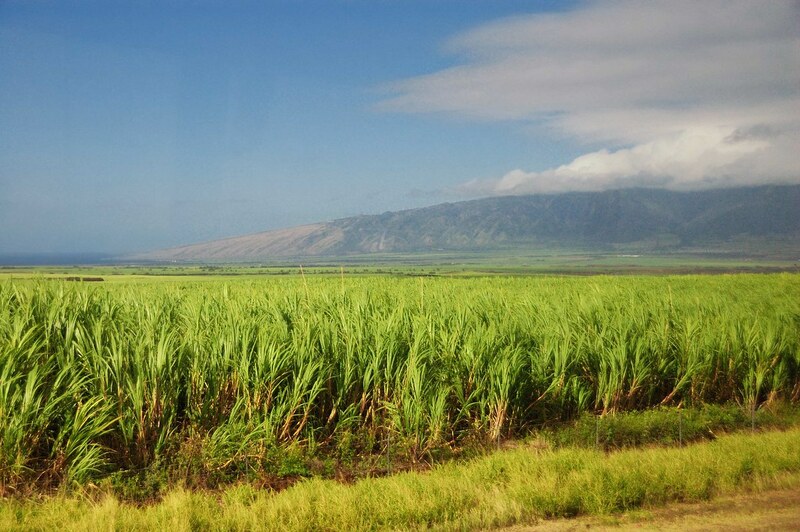 The Native Hawaiian monarchy, under the Kamehameha Dynasty, allowed over two-thirds of their land to be converted into commercial sugar plantations like this one. Despite white people constituting only 25% of Hawaii’s population, by the early 1890’s, they owned about 90% of all Hawaiian land. This simple fact allowed non-Natives to exert an staggering amount of influence over the Hawaiian monarchy. A perfect example of this was when white descendants of Christian missionaries and sugar tycoons banded together to create the Hawaiian League, and exert pressure on the native government. They successfully limited the powers of the Hawaiian King to a figurehead when they forced him to adopt a new Hawaiian constitution in 1887, solidifying their own power. The political power of the Hawaiian League continued to grow, and in 1893 reached a breaking point, when they successfully overthrew the native Hawaiian monarchy altogether. A new white-controlled government, the Republic of Hawaii, was established by the League, who appointed Sanford Dole as President. If his name sounds familiar, that’s because he’s the dude who founded Dole Pineapples. The ones that are still sold in grocery stores today. 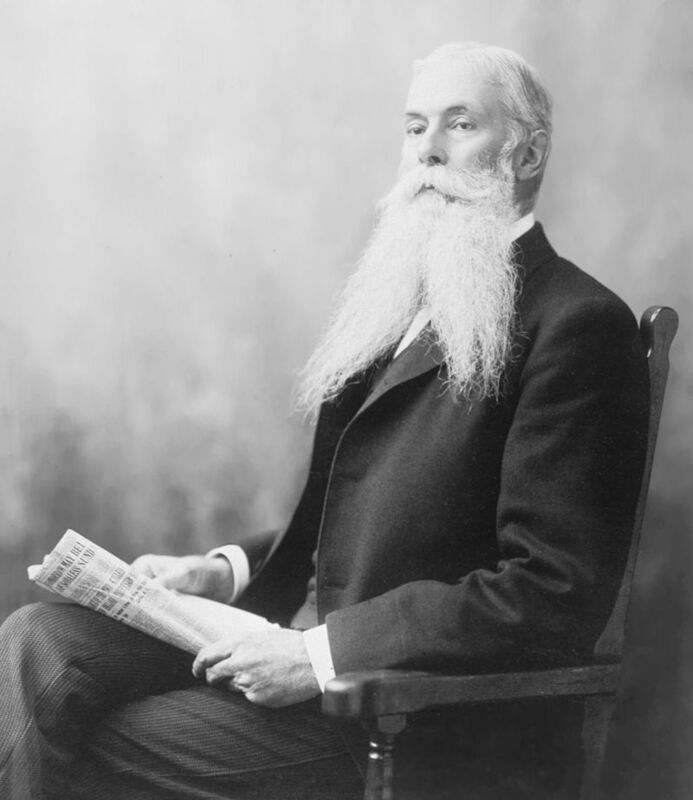 Sanford Dole’s absolutely incredible beard! A primary goal of the League, being comprised of sugar tycoons, was to have Hawaii annexed to the United States so that they could keep sugar competitive and eliminate any taxes or tariffs imposed by their biggest buyer. The U.S. accepted the deal, as they needed a mid-Pacific military base to fuel their Asia-Pacific campaign during the Spanish-American War. The Territory of Hawaii was created in 1898, replacing the white-controlled Republic created just five years before. Hawaii’s native population does not deserve 100% of the blame for the downfall of their people. And the behaviour of Western missionaries and businessmen as they slowly took control of the islands is not excusable, either. But, based on an analysis of Hawaii’s history, the Natives definitely played at least some role in their downfall. The voluntary abolition of the Hawaiian religion by Natives opened the door for missionaries, and the voluntary introduction of private land ownership by Natives opened the door for sugar tycoons to control everything. Would history have been different if Hawaiians kept their religion and their traditional land ownership? Nobody knows for sure. But it is safe to say that the history of Hawaii is an awkward and unfortunate one, indeed. The diseases brought by white foreigners were responsible for killing up to 95% of the Native Hawaiian population, and their plight is one of the least recognised parts of American history. So if you thought Hawaii being American was weird, then now you know that the way Hawaii became American is an even weirder story. Next ›Prison Escape: Is it legal?